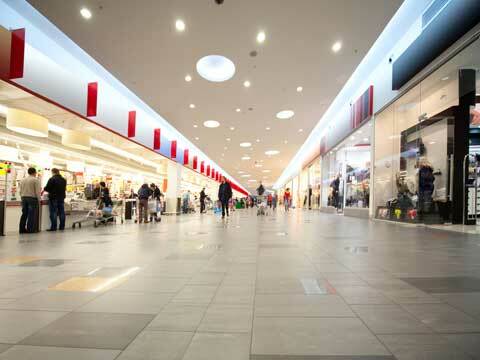 ERODE: The first phase of Textile mall (Texvalley) has been completed near Gangapuram on National Highway 47 and 1,600 shops built over one lakh square feet would start functioning from August 31, a top official said here on Thursday. Constructed under the Union Government's Cluster Development Programme at a total cost of Rs 450 crore with a Rs 40 crore central government grant, shops in Texvalley would start functioning from this Sunday, U R C Devarajan, Vice Chairman, Erode Textile Mall Ltd. told reporters. Textile traders, who were hitherto doing business in a congested space could now do so for two days on every Monday and Tuesday, he said. He said the entire mall would be built on 16.5 lakh square feet near Gangapuram on National Highway 47. With the remaining space, the main mall would be built over 11.5 lakh sq feet and granted one lakh sq feet for an International Convention Centre, he said. Devarajan said Texvalley is a textile hub unifying textile sellers and buyers nationwide with its transformational and infrastructure and modern amenities. P Periyasamy, Chairman of Textile Mall Ltd said this was a unique project and soon 1953 shops would be built and handed over to textile traders to run daily shops.